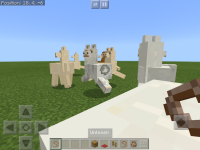 When llamas follow one another to create a caravan, they will run around in circles constantly. Create new world in Creative. 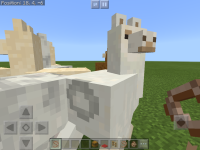 Obtain Llama Spawn Egg and Lead. Attach Lead to one of the Llamas. 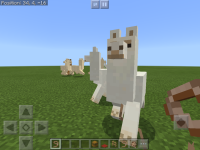 When Player uses Lead on a Llama all other Llamas in the range start to follow it and run in circles instead of simply following the leashed Llama. This issue occurs regardless, if the Llamas are tamed or not. When Player leashes Llama it should cause all other nearby Llamas to form a caravan like formation. These Llamas should follow the “leader” in straight line.